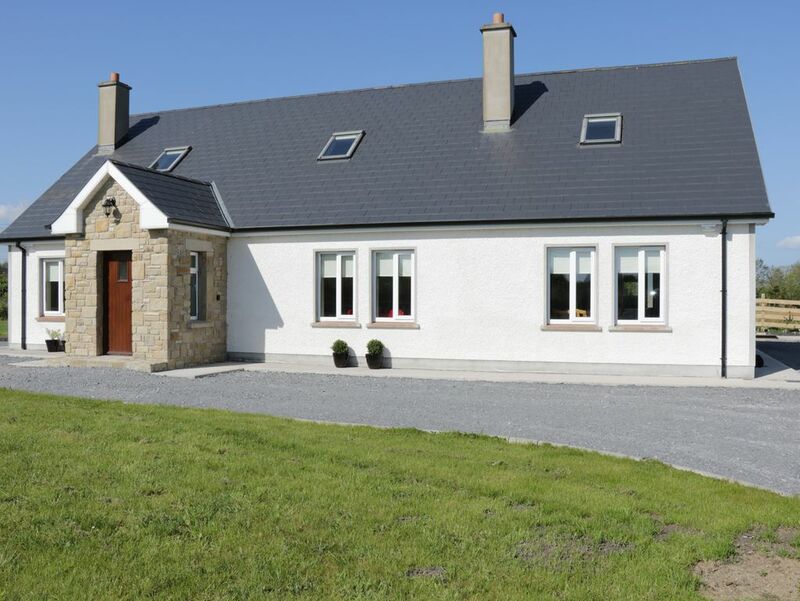 This lovely cottage rests close to the village of Kinlough in County Leitrim, close to the seaside town of Bundoran, and can sleep nine guests in five bedrooms. Amenities: Oil central heating. Electric oven and hob, microwave, fridge/freezer, washing machine, tumble dryer, dishwasher, TV, WiFi. Fuel and power inc. in rent. Bed linen and towels included in rent. Lawns to front, side and rear of property with gravelled driveway. Ample off-road parking. Garage storage space at owners house nearby. Sorry, no smoking and no pets. Shop, pub and restaurant 2 miles. Beach 2 miles. Town: The town of Bundoran, meaning ‘the foot of the little water’ is situated in County Donegal and is one of Ireland’s most popular resorts. Bundoran will suit all tastes, where a fun day out can be spent at the Bundoran Adventure Park, or on rainy days at Waterworld. Cliff-top walks around the town are a must, plus the area is a golfer's haven, with many golf courses in the area, including one in Bundoran itself. Close by is Ballyshannon, which boasts a folk festival every August and offers shops selling local crafts, pubs, restaurants, a leisure centre and a beach.